Chorusmaster for the Calgary Philharmonic Orchestra, artistic director of Spiritus Chamber Choir and founding director of Luminous Voices, Timothy Shantz continues to garner critical praise for his work as conductor with both choral and instrumental ensembles. Kenneth DeLong of the Calgary Herald wrote, "Timothy Shantz led the choir with both energy and grace, drawing from the ensemble sounds that were refined, balanced, and filled with inner life." Shantz is an experienced conductor, collaborator, and tenor soloist. As a conductor, Shantz is recognized for his work in early-music, contemporary works, as well as virtuoso unaccompanied choral music to large choral-orchestral masterpieces. Under his direction, Spiritus Chamber Choir earned the Healey Willan Grand Prize from the Canada Council in 2013 and toured internationally, earning second prize at the Fleischmann International Choral Competition in Cork, Ireland as well as second prize at the Florilège Vocal de Tours in France. His preparation of choruses for major orchestral works has been equally successful. Following a performance of Beethoven’s Mass in C, DeLong wrote, “the well-prepared chorus (was) thrilling in the grand climaxes and sensitive in the softer Sanctus and Agnus Dei portions of the mass. The big fugal choruses always are a big sing for any choral group, and the CPO Chorus tucked into these most characteristic passages with relish. One could not help noticing the security of both the tenor and bass sections, and the way this contributed to the health of the total choral sound.” Shantz has collaborated with conductors Christoph König, Matthew Halls, Paul Hillier, Nicholas McGegan, Roberto Minczuk, John Morris Russell, Yoav Talmi, Jean-Marie Zeitouni and more. 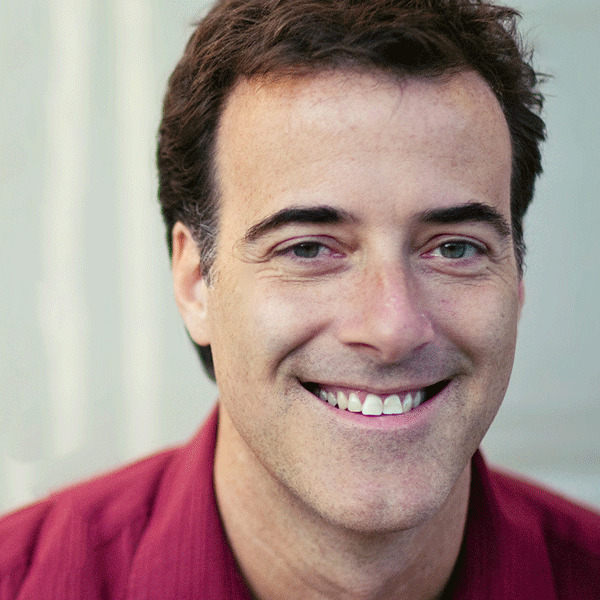 Shantz has several recordings to his name including, Zachary Wadsworth’s The Far West released in May 2016 of which Joshua Kosman of the San Francisco Chronicle wrote “beautifully sung, as everything here is, by the aptly named Luminous Voices under Timothy Shantz.” Mendelssohn’s Te Deum, released in Spring 2015 by Luminous Voices was named Outstanding Choral Recording from Choral Canada in May 2016. Other recordings include, James MacMillan's Seven Last Words (Spring 2014) with Spiritus Chamber Choir and future releases planned from the Calgary Philharmonic Chorus and Luminous Voices. Performance highlights as tenor include Händel's Messiah at Carnegie Hall, soloist and ensemble singer at the Carmel Bach Festival since 2008 and twice with the Lucerne Festival Academy under Pierre Boulez. Shantz holds a Doctor of Music degree in Choral Conducting from Indiana University Jacobs School of Music with a dissertation analyzing the unaccompanied choral work Sun-Dogs by composer James MacMillan. Spiritus has been blessed with a veritable treasure of conductors in the past 20 years—each one contributing richly to what the choir is today. David Wilson founded the Spiritus Chamber Choir in 1995, and served as artistic director until 2001, when he left Calgary to pursue a Master of Music degree in Choral Conducting at the University of Alberta. During his tenure with Spiritus, the choir received a 1999 International Contemporary A Cappella Recording Award for its performance of Anton Bruckner's Os Justi from its inaugural CD, Crossing Bridges, and was a semi-finalist in the CBC National Choral Competition 2000. Spiritus released its second CD, Never the Same River Twice in 2001. In 1999, Mr. Wilson received the Alberta Choral Federation's Con Spirito Award, in recognition of his outstanding contribution to choral music in Alberta. Now living in Edmonton, he is the conductor of the Edmonton Recorder Orchestra, and has been the Associate Conductor of both the Richard Eaton Singers and the Da Camera Singers. In addition to his busy Vocal and Breath Therapy studios, David is in constant demand as a singer, and vocal and choral clinician. Soprano Janet Youngdahl is a specialist in early music for the voice, from the perspective of a solo singer, historian, and a choral conductor. She has toured with the ensemble for medieval music Sequentia throughout Europe and North America. She appears as a soloist on seven recordings with this ensemble with Deutsche Harmonia Mundi/BMG. In concert, she has appeared at the Lincoln Center Festival in New York City, the Proms in London, the Melbourne Festival in Australia, and in concerts in Amsterdam, Paris, Florence, Cologne, Stockholm, San Francisco, Boston and Chicago. She is currently an assistant professor at the University of Lethbridge, teaching voice and conducting the University of Lethbridge Singers. Pierre Simard pursues a career as conductor and composer-arranger, which has led him to Belgium, France, Mauritius and Réunion Islands, Ukraine, USA, as well as throughout Canada. Pierre is currently assistant conductor of the Vancouver Symphony Orchestra and artistic director for the Vancouver Island Symphony and the Orchestre Symphonique de Drummondville. He has performed as guest conductor with orchestras in Milwaukee, Toronto, Ottawa (National Arts Centre), Okanagan and Hamilton. In his native Québec, he has conducted Les Violons du Roy, the Orchestre Métropolitain and the Bradyworks Ensemble.